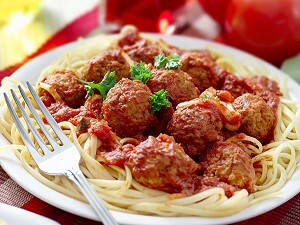 The menu consists of spaghetti and meatballs, salad and garlic bread, dessert and beverages. The prices are: Adults $12.00, 12 and under $6.00 and 5 and under free. To avoid disappointment get your tickets early.